Joseph Jones, a private investigator licensed in California recently gave a presentation on social media skip tracing. In the webinar, Joseph discussed OSINT searching, tips for locating accounts, hidden photos, and other pieces of other information to locate a subject. He also touched on non-public information and using supplemental skip tracing techniques and tools. Joe recommends always starting with a fresh browser that doesn't include your previous/personal searches and personal data. Some investigators will use one browser (Chrome, Firefox, Internet Explorer) for everyday use and a separate browser for investigative work. Boolean searching, or search engine manipulation, can also help get more accurate results. 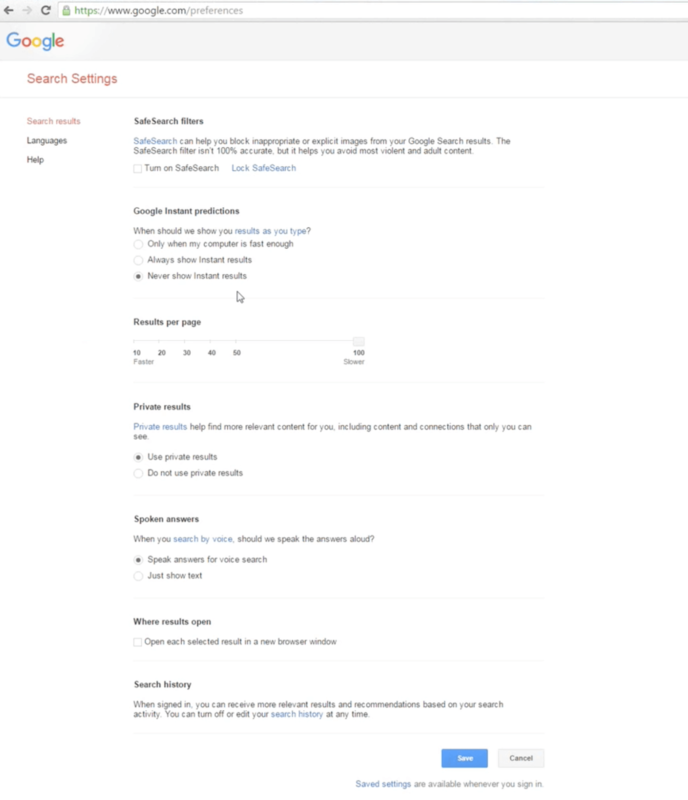 Adding quotations around the items you are specifically searching for will instruct Google to only return searches containing those terms. A search for "Joseph Jones" + "Private Investigator" returns searches with both terms on the same page, and only returned a little over 1,300. 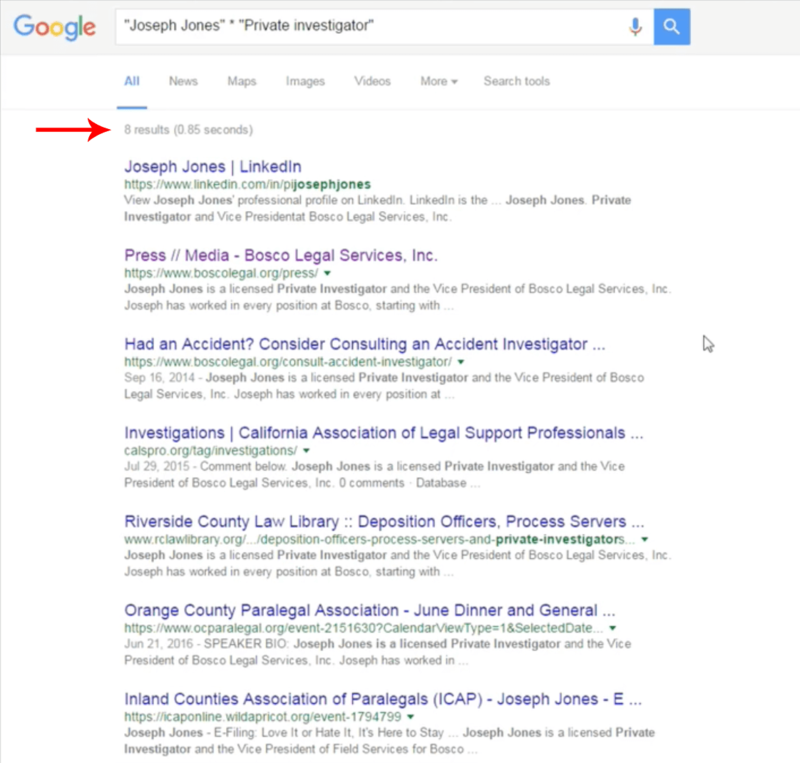 Substituting an asterisk for the plus sign will return results for pages that have Joseph Jones on a page with the term private investigator within 15 words, which thins out search significantly. For social media searches, Joe recommends using a decoy account. However, if someone is involved in a case and representing an attorney, you cannot send them a friend request. If you cannot friend them directly, one strategy is to send requests to their friends, as friends of friends often have greater access to account information than a stranger. One of the best tools Facebook has is reverse phone number search. When you type a phone number into Facebook, it will return profiles or posts linked to that number, even if the phone number isn't publicly listed on that person's profile. Since many people use the same username for their social media accounts, you can search for the Facebook username (or whatever the initial account you found was), place it in quotation marks and search for other accounts in Google. When Joe did this, he was able to find an additional Twitter and Instagram account, in addition to recent images. 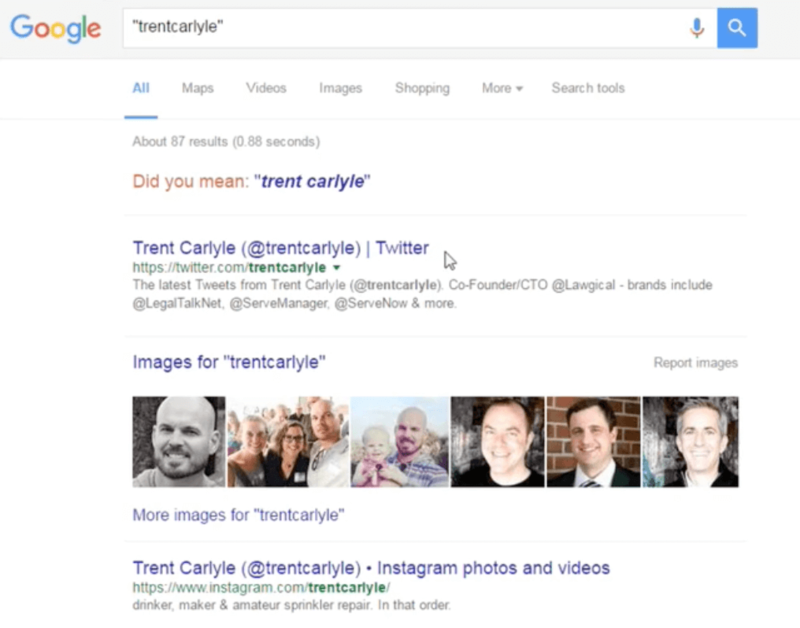 If a search for the username doesn't turn up results, one tactic Joe recommends using is finding a person in your target's friend list with an unusual or uncommon name, finding their accounts on other platforms, and then searching their friends and followers lists for your target. Joe recommends a tool by Intel Techniques that allows you to find other things in Facebook that aren't always shown. You can see things like all of the photos the person has been tagged in, all photos she has commented on, photos the person has liked, etc. This gives greater access to relevant information posted by others, and a plethora of options for search. This is helpful for tracking a person down, establishing character, and gathering information on the target. 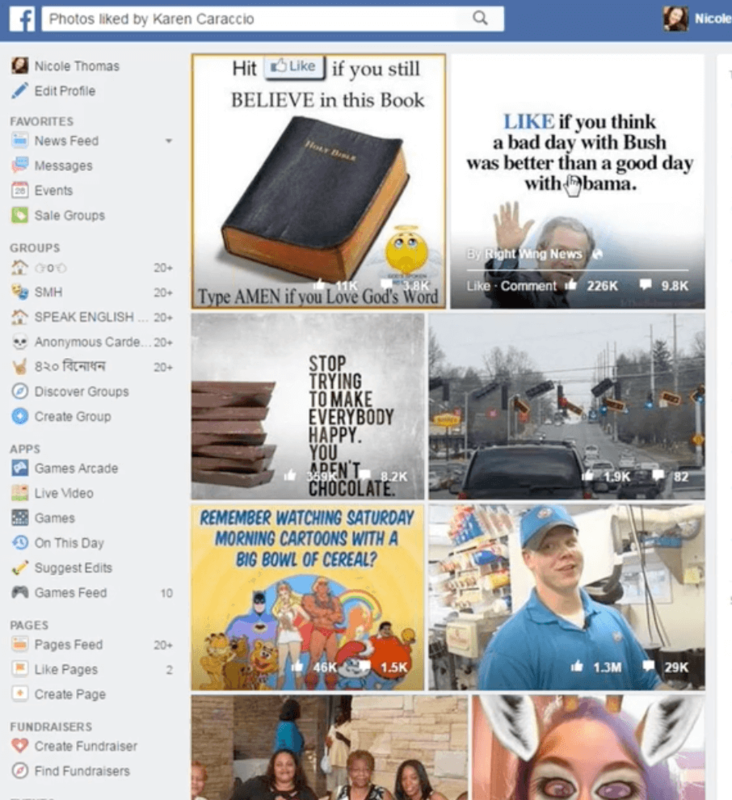 If your target has a very private profile, there is a tool that can show posts and photos they've been tagged in and commented on through their friends' public profiles. You can sign up for training and free access to use the tool here: http://www.inteltechniques.com.